ANNAPOLIS, Md. (CNS) -- A 23-23 tie vote in the Maryland Senate March 27 led to a defeat for a bill that would have legalized physician-assisted suicide. "Because of your calls, emails and efforts, physician-assisted suicide will not be legalized in Maryland this year," the Maryland Catholic Conference told the state's Catholics in a message posted on its website March 28. The conference is the public policy arm of the state's bishops. "This wouldn't have been possible without all of your voices and prayers," it added. "Thank you for making a difference in the fight against physician-assisted suicide!" The bill would have allowed doctors to prescribe lethal medication in pill form to patients diagnosed as terminally ill and deemed mentally capable. Patients would have received the prescription to take home and not have been required to take the pills in the presence of a medical professional or family member -- or to take them at all. Jennifer Briemann, the Catholic conference's executive director, called the "End-of-Life Option Act" a "dangerously flawed bill." Immediately preceding the march, Baltimore Archbishop William E. Lori celebrated Mass at St. Mary's Church in Annapolis and addressed the issue with the congregation, which packed the church beyond standing room. "As citizens, we should be very alarmed by the possibility that physician-assisted suicide could become legal in our state," the archbishop said in his homily. "The bill under consideration is regarded by many as a 'Death With Dignity' bill, but the death which this bill would allow for is anything but dignified." Archbishop Lori said such a bill would "further undermine the dignity of human life." "In an already drug-ridden society, lethal pills are suddenly on the loose," Archbishop Lori said. "In the face of Maryland's epic opioid crisis, this is not good public policy." "This has already happened in states where physician-assisted suicide is legal," Archbishop Lori said, acknowledging those who support legalization would dispute that assertion. "In European countries where euthanasia has been legal for decades, it is no longer a question of a right to die, but it is now an obligation to die when one's condition has become burdensome to the family or to the state-run medical system." At a February hearing on the bill while it was still under consideration by the House Health and Government Operations and Judiciary committees, a Catholic physician told Maryland lawmakers that "physician-assisted suicide fundamentally alters the physician's role in society." In her testimony, Dr. Marie-Alberte Boursiquot discussed the duties physicians have to their patients: acting in the patient's best interest; avoiding or minimizing harm; respecting a patient's autonomy; and promoting fairness and social justice. "Medicalizing death does not address the needs of dying patients and their families," she said. 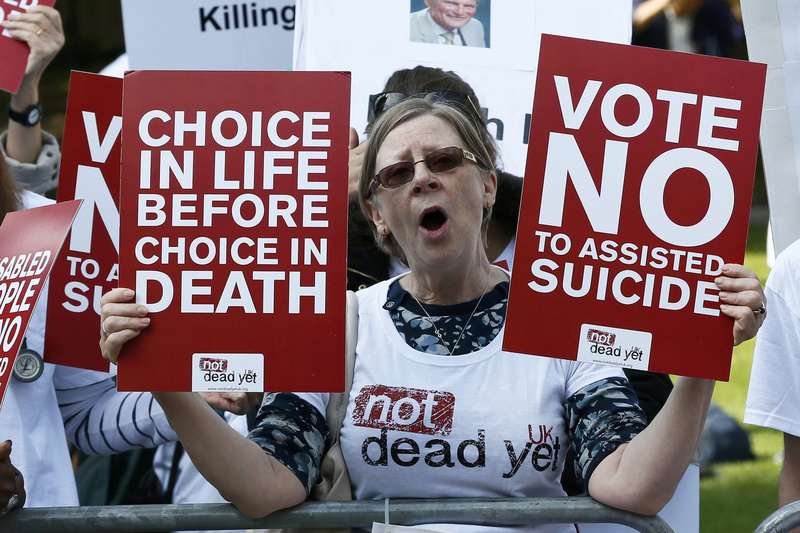 "Physician-assisted suicide is not medical care. Physicians are committed to preserving life, not in taking lives."